Hello HOH readers!!! I can’t tell you all how excited I am to be over here today!! My name is Natalie but my friends all call me Nat. 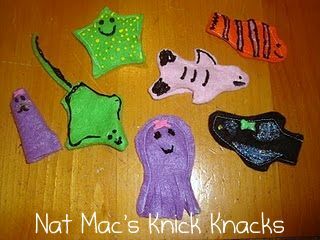 I started a little blog in January called Nat Mac’s Knick Knacks. I am a SAHM to two crazy kiddos. 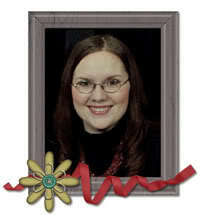 I have all sorts of things on my little blog from recipes, crafts, holiday decor, and some fun things for kids. 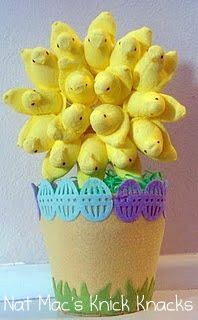 I made a super cute Peep craft for Easter. Unfortunately for the Peeps my little two year old thought they looked good enough to eat. He bit off the heads of almost all the poor things. I honestly didn’t know if I should laugh or cry. I found my kitchen table at a local thrift store. It was in need of some TLC especially in the seats. 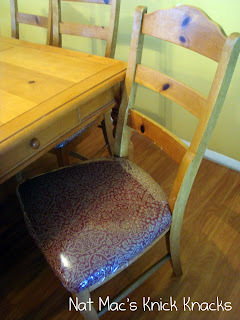 My hubby let me use his power tools to recover the cushions. I was so proud of my first DIY project with power tools. Last summer I did some fun theme weeks to help keep my kiddos entertained. We watched a movie, ate a snack, made crafts, and went on a field trip that all had to do with a particular theme. We made fish finger puppets for one of our “fish week” crafts. ﻿I have to give a super big thanks to Allison for letting me come hang with you ladies today! I hope you will stop by my little blog and say hi! 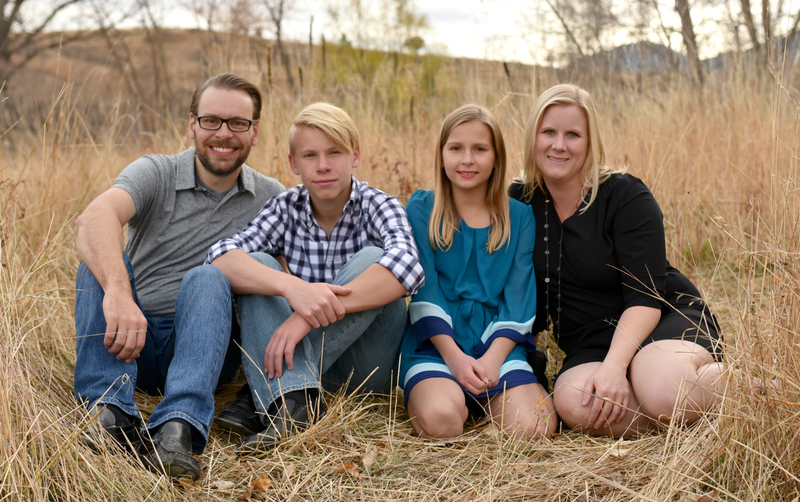 « Guest Blogger: Creating Really Awesome Free Things C.R.A.F.T.